Last Summer, I've launched my first spoken word EP, #Undeniable. Click the button to check out the album and purchase the download. Thanks so much for the ongoing support, and making it possible for this art to exist. 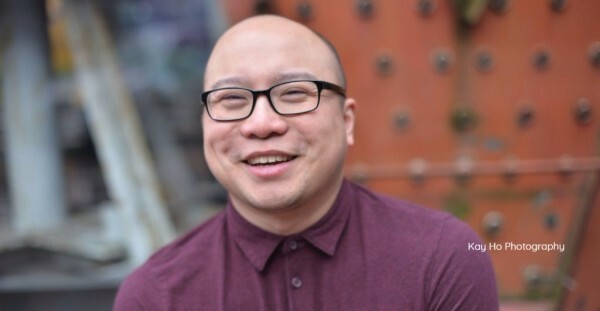 Johnny D Trinh is an award-winning playwright, and author of several chapbooks. Johnny’s first audio album #undeniable will be released in July 2017. Highlights: Verses Festival- Canadian Individual Poetry Slam (CIPS) Tournament Director 2017, Regina Slam Champion 2016, Finalist- CIPS 2016, Finalist- Capturing Fire 2016 & 2015 (Washington, DC). Feature performances: Victorious Voices, Tongues of Fire (Victoria), Canadian Festival of Spoken Word (2016, 2015), Pride Toronto (2016), Toronto Poetry Slam, Tonight It’s Poetry (Saskatoon), Victoria Poetry Slam, Toronto Art Bar Poetry Series, Saskatchewan Festival of Words (2017,2016,2015), WordPlay Poet, Saskatchewan Artists in Schools Program. Training: Banff Centre for the Arts, MFA: Interdisciplinary Studies: Theatre & Creative Technology- University of Regina, Dell’Arte International School for Physical Theatre: Summer Intensive, Musical Theatre Performance: Randolph Academy for the Performing Arts, Hon. BA- Drama- University of Waterloo. Always acknowleding that this work and art takes place on the unceded territories of the Coast Salish Skwxwú7mesh (Squamish), Səl̓ílwətaʔ/Selilwitulh (Tsleil-Waututh), xʷməθkwəy̓əm (Musqueam), and Stó:lō nations. This workshop will assist poets in developing their performance process and practice. It is a physical workshop that will give participants a better understanding of how their voice works, warm up exercises, and vocal techniques to improve and maintain vocal health. It will also integrate physicality into their performance, with physical exercises. All activities are accessible and can accommodate all bodies. Everyone is welcome. This workshop focuses on the importance of warm up and cool down, and on what you're doing to improve your craft while off stage. It will break down key strategies for preparing the body and the artist for rehearsal and performance- highlighting: alignment of body, physical warm up, breath, resonance, articulation, and then text. Techniques include but not limited to: Yoga, Laban, Alexander, Linklater. This workshop focuses on tearing off the gloss, and stripping down our poems to unapologetically recognize our intentions and what we're trying to do with our words. This performance based workshop will ask you questions, and offer techniques on developing your performance process. What questions do you ask? What are you looking for at different stages of rehearsal? When is your poem actually ready for the stage? How do you keep an old poem fresh? How do you embody the poem so you're not limited to being a talking head with flailing arms? How do you take care of the audience and yourself? This workshop will help you find your most urgent truth, and give momentum to your words on stage. It is fully accessible, all bodies, all delivery styles, all persons are welcome. The key to this workshop is truly recognizing your own way of story telling, and give you a more ways to improve the quality of your engagement with the audience. Techniques include but not limited to: Shurtleff, Uta Hagen, Boal, and Clown.